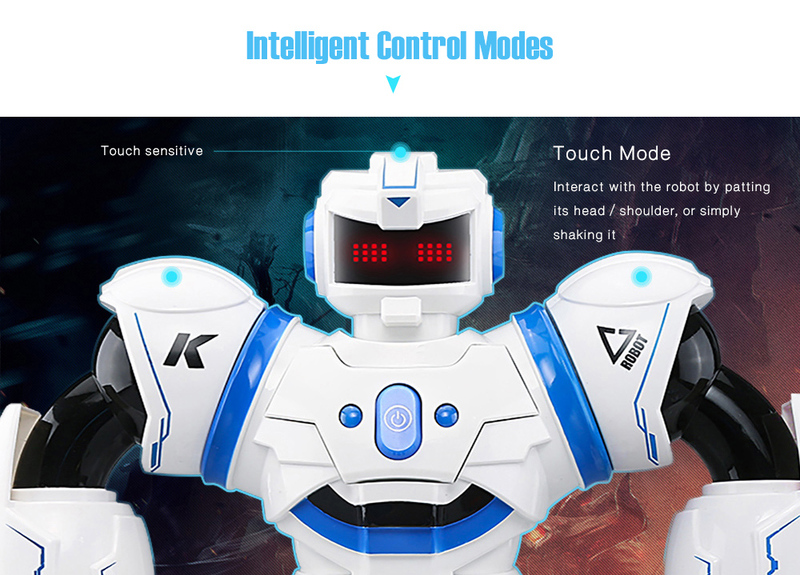 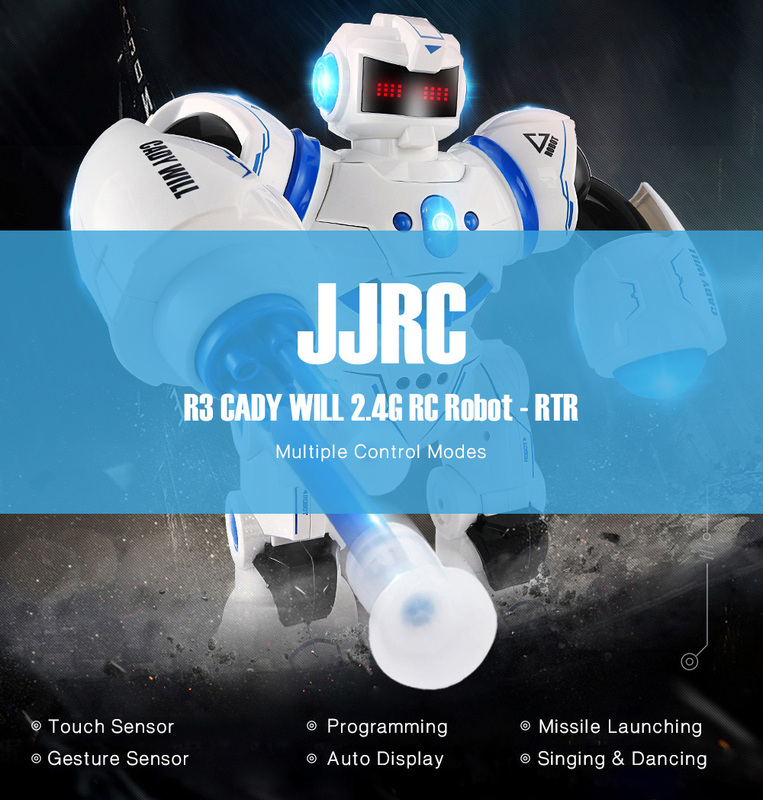 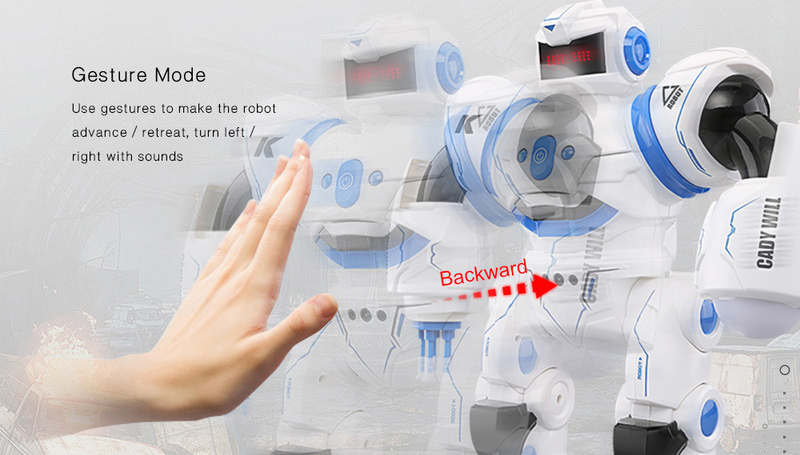 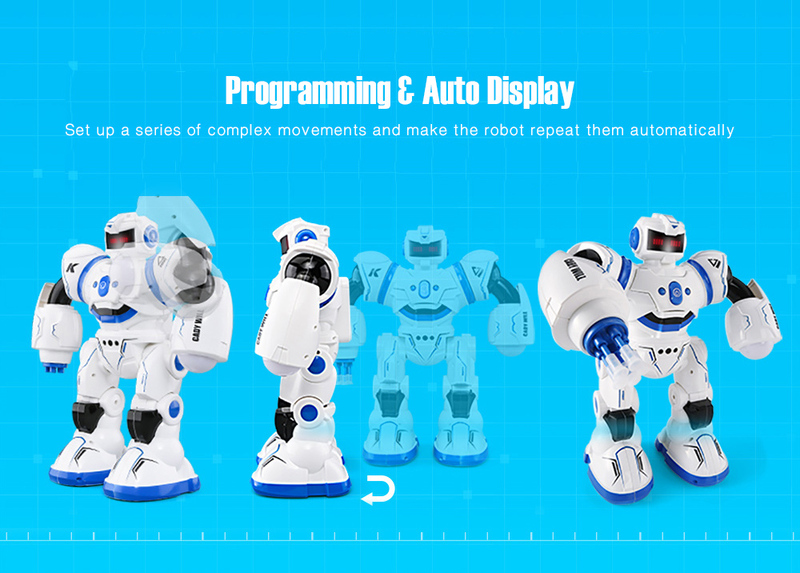 The new-generation JJRC robot, R3 CADY WILL has been born, which is more interactive - you can touch its head / shoulder, or even shake it to make it speak; gestures can also work to make it move in different directions. 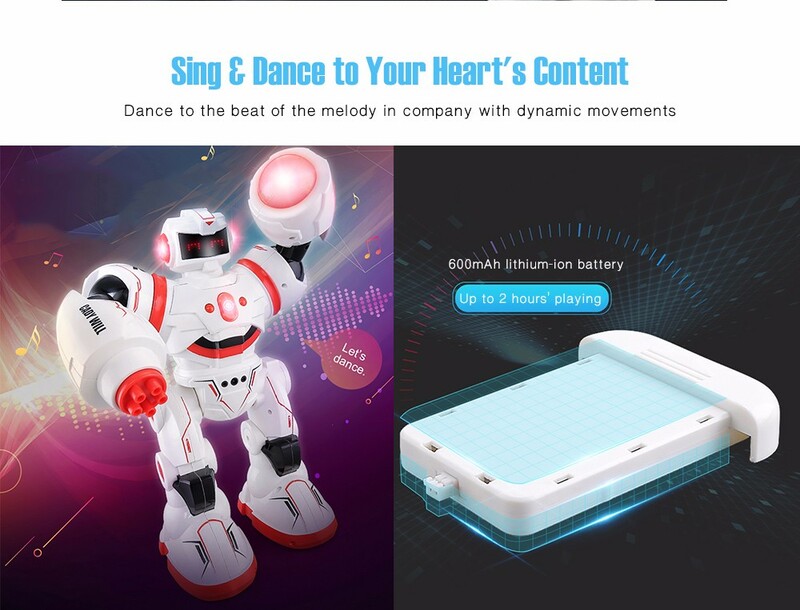 Although it is bigger, the plug-in lithium-ion battery module of R3 offers you up to 2 hours' fun, which is twice as long as that of R2. 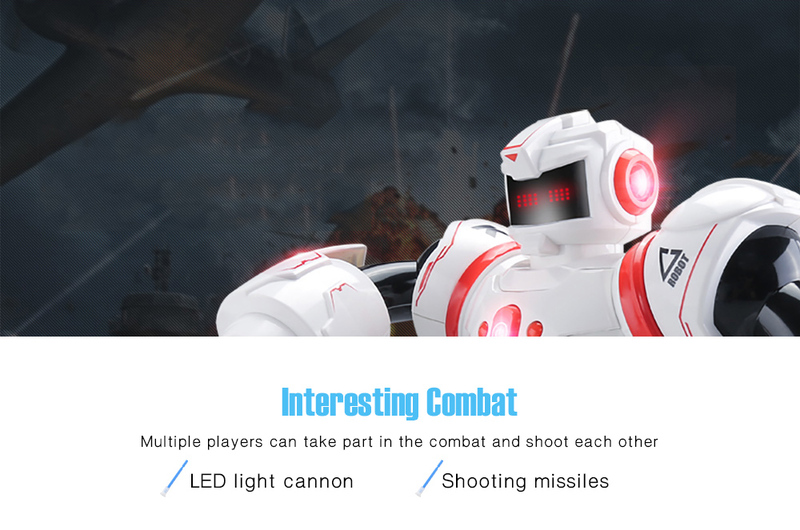 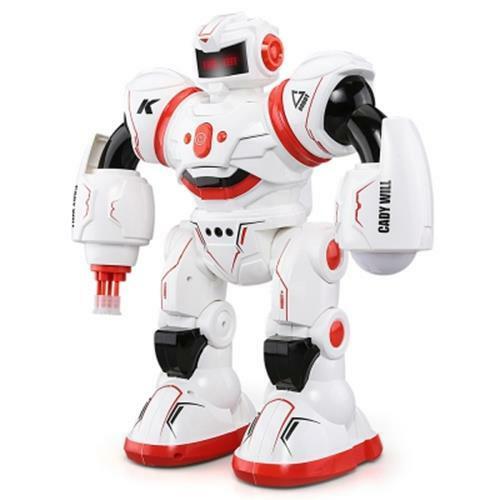 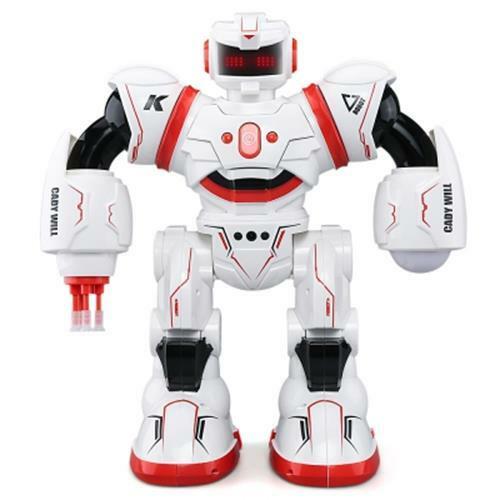 Besides walking, sliding, singing, dancing, programming, CADY WILL can fight with several other robots by launching missiles and raising up the LED light cannon.